The Fulham Supporters’ Trust are very grateful to Katy Brecht, the ticketing manager of Fulham Football Club, for providing the Trust and Fulham fans with the following update on ticket sales and arrangements ahead of Saturday’s trip to Aston Villa. 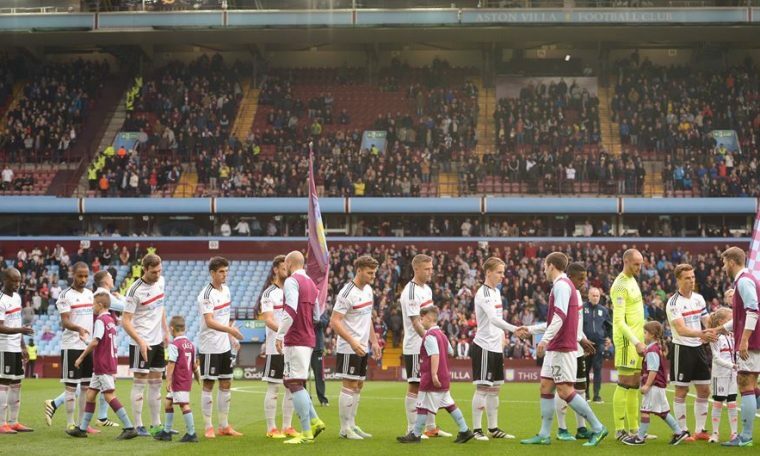 Fulham were intially allocated 1,1394 tickets in the Lower Tier of the Doug Ellis Stand for the Championship game at Villa Park. As of 9.30am this morning, Fulham had sold 1,317 tickets. Aston Villa requested that the lower tier should be sold first due to the far greater facilities for visiting fans in the lower tier and, following the excellent support, Fulham have requested and now received permission to sell 611 tickets in the upper tier of the stand. These tickets went on sale last night. This leaves under 700 tickets now available for purchase priced at £30 for adults, £20 for those aged over 65, £20 for full-time students or those in the armed forces, £17 for under 21s and £10 for under 16s. The official club coaches depart from opposite the Earl Beatty pub on West Barnes Lane at Motspur Park or Craven Cottage from 10am on Saturday morning. Coaches places are priced at £17 for adult season ticket holders and members and £10 for junior season ticket holders and members or £22 for general sale adults and £15 for juniors. You can buy tickets online, by visiting the Fulham FC Ticket Office in Stevenage Road or calling the ticket hotline on 0203 871 0810.